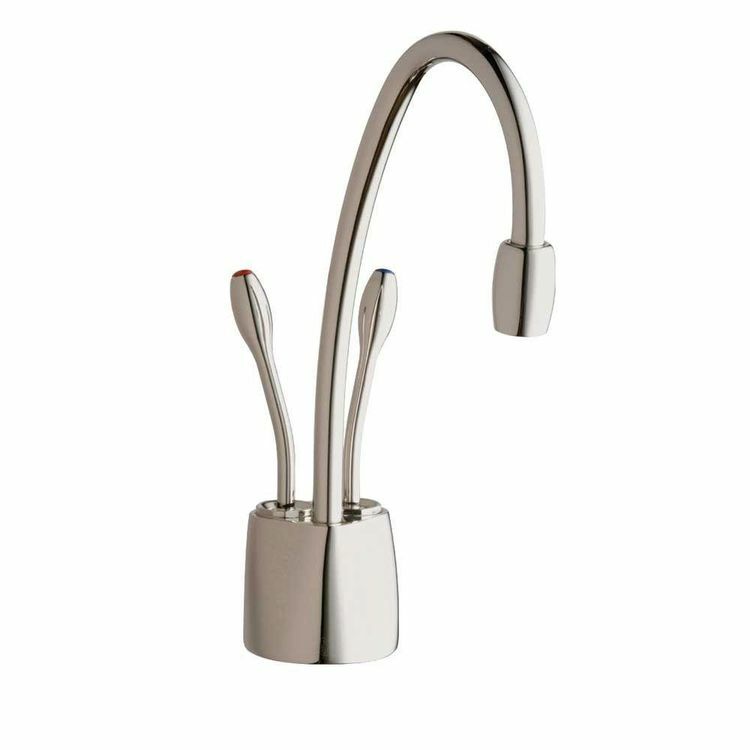 The InSinkErator F-HC1100PN is an instant hot and cool water dispenser. This shiny polished nickel dispenser is the newest addition to the family of Indulge Contemporary hot water dispensers. Now, you can be assured that demands for hot or even cool water will always be met because efficiency and convenience are merged together in one system. This dispenser has the capacity to deliver up to 60 cups/hour of 200 degrees (F) near-boiling as well as cool drinking water. 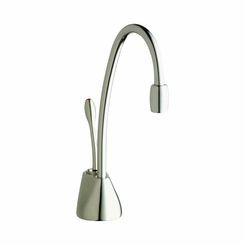 It has a self-closing hot lever that shuts off automatically while the cool lever has a manual return but is always ready for use. 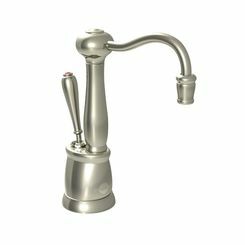 This user-friendly two-handle dispenser features a durable corrosion-resistant all-brass faucet with an elegant swivel spout for maximum convenience. 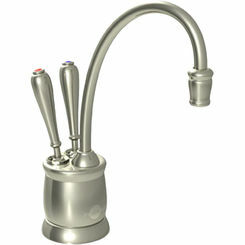 It is designed to be used with the Insinkerator hot water tank with water filtration system (sold separately). Also, for extra assurance and peace of mind, the Insinkerator F-HC1100PN is backed by an exclusive 5-year in-home limited warranty. Please take note that this dispenser requires a hole diameter of 1-3/8" to 1-1/2" standard sink hole and counter top thickness of no more than 3". This unit is intended for residential use and not for commercial/industrial applications. Requires a hole diameter of 1-3/8" to 1-1/2" standard sink hole and no more than 3". This unit is intended for residential use and not for commercial/industrial applications.